Chances are, when you visit a new place for the first time, you like have some idea about what to expect. And chances are, if you knew you were doing something that made others uncomfortable, you'd like to know about it. This week's newsletter is dedicated to just that - etiquette. It's a quick and friendly review of etiquette tips to make sure you (and everyone around you) feel comfortable in our (or any!) yoga studio. When you visit a yoga studio, you'll likely be expected to remove your shoes, for a couple of reasons. One is to help keep the floors clean for everyone, the other is that shoes can affect your ability to balance well. If you're uncomfortable removing your shoes, it is ok to wear clean socks for the yoga practice, but please note that socks can feel a bit slippery in some poses. At The Yoga Room you can place your shoes on the shoe shelf in the lobby. Any additional personal belongings, such as your purse, wallet, or keys, may be placed in a cubby in your classroom for safe keeping during class. Please arrive at least 5-10 minutes before your class begins. This gives you time to take off your shoes, handle any needed paperwork or payment, and visit the restroom before class begins. When a student arrives late for class, it can be disruptive to the rest of the students who have set down and organized their mats and props, and it can also be disruptive to the teacher's train of thought. Unless you are a medical professional who is on call, please leave your cell phone in your car or make sure it is switched off or to airplane mode. Putting your phone in vibrate mode is not a good choice, as a vibrating cellphone can be a distraction in an otherwise quiet class, especially during relaxation or breathing practices. Let the yoga practice space be a safe haven where you take one hour to unplug from technology and connect with your body, your mind, and your spirit. Wear modest clothing for yoga practice. Yoga pants or longer shorts and a t-shirt or tank top are appropriate. Please note that the fabric of some yoga pants becomes transparent when stretched. You can test your yoga pants by stretching the fabric over your outstretched hand and observing how much light shines through. Most people are comfortable with a top that is slightly form fitted so that it stays in place in the various yoga postures. Since we have two practice rooms at The Yoga Room, there's often one class (or an Individual Instruction appointment) in session when the other class lets out. Loud talking in the lobby, the classroom, and even outside in the breezeway, can be disruptive to the concentration of both the students and the teacher who are in class. Please remember to use a quiet voice when speaking with classmates, teachers, and the reception staff. In a typical yoga class, the teacher speaks and sometimes demonstrates the instructions, and the students listen, watch, and practice. Students are encouraged to hold questions or comments until the end of class. Of course, if a posture is painful or uncomfortable, the student should quietly call the teacher over to seek additional guidance. In workshop-type instructional environments, the teacher may ask direct questions to encourage reflection and discussion for the benefit of everyone. Please refrain from chewing gum during class. Chewing gum disrupts your breathing and creates a distraction from your practice. Breathing is a very important aspect of the yoga practice. We breathe consciously during the āsana practice, in relaxation, and of course during prānāyāma (breathing practice). As such, it's important for the air in the room be fresh and free of any type of scent or odor. Please make sure that your body is fresh and clean, and please refrain from wearing perfume, cologne, scented lotions, essential oils, or any other type of scent. You may love your favorite scent and believe that it is mild and pleasant, but one or more of your classmates, or even your teacher, may be sensitive or allergic to even the mildest of scents. Scents are even known to trigger migraines in some people. Please keep your yoga mat clean by washing it periodically with a tiny bit of laundry or dish soap. You are welcome to use our mat spray between washes. It is located in the basket with our rental yoga mats. Please be respectful of others’ yoga mats and do not step on them without permission. It is interesting to observe the relationship between the purpose of yoga and yoga studio etiquette. The purpose of yoga is to quiet the mind, which means that we are training the mind to be calm and remain undisturbed by everyday sensory distractions. Yoga etiquette addresses potential sensory distractions that may arise in a yoga studio environment. Shoes affect cleanliness and touch/balance. A person's late arrival affects that person's stress level and the sight and hearing senses of the other practitioners. The beeping and buzzing of cellphones affect the sense of hearing. Clothing affects the sense of touch and can also be a mental distraction. Talking occupies the mind of the speaker and the hearing sense of the listener. Chewing gum creates a physical/taste/breathing distraction for the chewer and a sound and potential sight distraction for the other practitioners. Perfumes, scents, and odors distract the sense of smell and can also cause a physical response (migraine headache). A dirty yoga mat can be a visual and possible smell distraction for oneself and one's fellow practitioners. We are all affected by so many sensory stimuli in our daily lives: traffic, internet, news, loud music, pollution, discussions, debates, etc. The yoga studio is an oasis where we can soothe our senses and capitalize on the opportunity to train our minds and our ability to focus, so that little by little, we become liberated from sensory distraction. I know that philosophy discussion was pretty deep - I'd love to hear any comments, questions, or observations you may have about yoga etiquette and/or yoga philosophy. 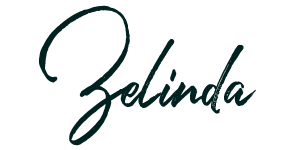 Please email me at zelinda@rryogaroom.com if there's anything you'd like to share or discuss. And please feel free to forward this to any friends who are thinking about starting a yoga practice. Hopefully, knowing what to expect in a yoga studio setting will help them feel comfortable and confident to try their first class.